The Estadio Mendizorroza fell into a state of shock on Saturday when Thomas Partey’s strike found the net as the midfielder demonstrated an ability that Diego Simeone has always known was there. What happened was no freak incident and Thomas has always had a talent for long-range hits. In fact, it’s something that Simeone wants him to produce more of. Thomas is in good company with his accuracy from outside of the area, too. Only Lionel Messi, Raul de Tomas and Jorge Molina have netted from further out than 18 yards as much as he has. 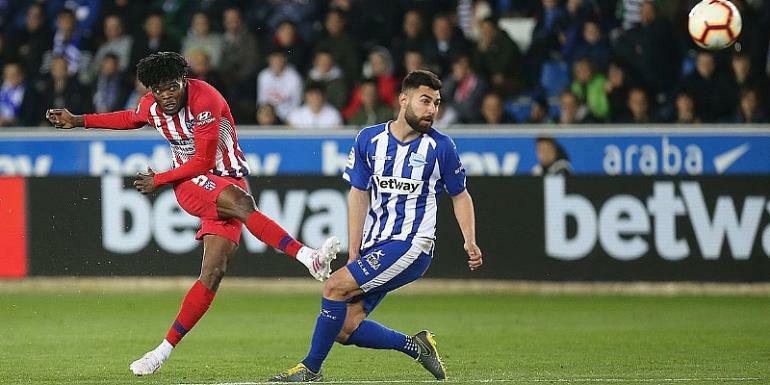 Simeone expects the Ghanaian to score at least five goals per season, which he did last year – three in LaLiga Santander, one in the Copa del Rey and one in the Champions League. In his 132 Atletico Madrid appearances, Thomas has 12 goals, with seven of those being from outside the box.